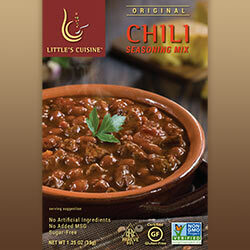 Our family's award winning chili recipe will be a favorite of your family too. Delicious served over rice, noodles or pasta. A spiced-up, hot version of our Original Chili recipe made with more red peppers that dials-up the heat on this flavorful chili recipe. Add your own jalapeno or hot pepper garnish for even more heat. 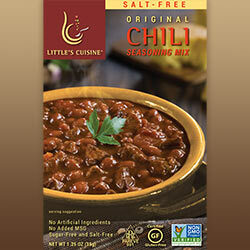 A salt-free version of our family’s award-winning chili recipe. 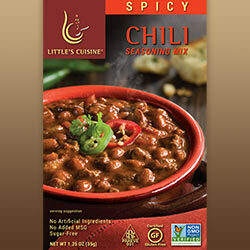 For those consumers looking for a great tasting chili with zero sodium. 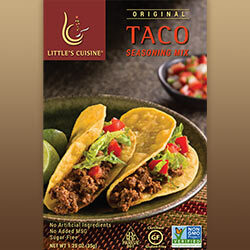 Taste a more flavorful taco with our zestier Original Taco seasoning. You can see and smell the rich flavor in the ingredients when you first pour them in. Olé! 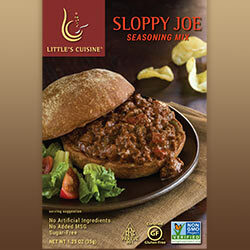 Add your favorite ground meat and tomato to this balanced blend of Chili-based spices to make a new, flavorful concoction of the old-fashioned Sloppy Joe recipe that the whole family will love. 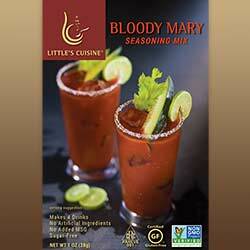 Our Zesty Mary version of the original is the perfect cocktail when you're craving that spicy kick. Sure to be a party favorite. 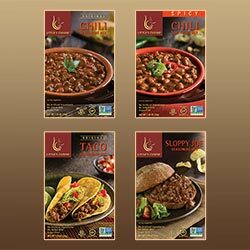 Little’s Cuisine Variety Pack contains eight different varieties, each one meeting our high standards of quality and flavor excellence.